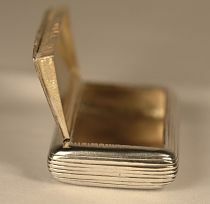 of rectangular ribbed form with hinged lid and gilt interior. 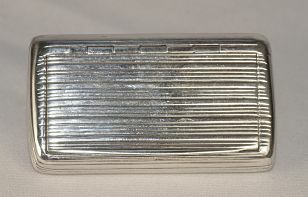 The hallmarks are displayed on the rim of the lid. The lion passant is also shown inside the base.